In 2011, the first wave of baby boomers hit the traditional retirement age of 65. 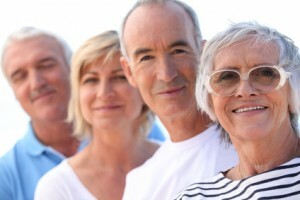 And over the next 19 years, another 10,000 baby boomers will turn 65 every day, according to research by the Pew Research Center that was reported on by foxbusiness.com. Unfortunately, many of these baby boomers may not be as financially prepared for retirement as they hoped they’d be. In a Harris Interactive poll of middle-class Americans, 39 percent of respondents say they will need to work in retirement just to make ends meet or maintain their lifestyles. Another survey conducted by the Employee Benefits Research Institute and reported on by ConvergEx Group determined that only 58 percent of Americans are saving any money at all for retirement. Among those who are saving, 60 percent have less than $25,000 in defined contribution retirement account savings (including 48 percent who are at least 45 years old) and 30 percent have saved less than $1,000. “If you plan to retire within the next couple of years, now is the time to begin planning exactly how you will make the transition from full-time employment into your retirement,” suggests Rande Aaronson, Branch Manager at David Lerner Associates’ office in Teaneck, New Jersey. 1. Reexamine your asset allocation.It may be advisable to start shifting your asset allocation mix to lessen exposure to investments that may be more volatile in the short term (like equities) and increase exposure to those that generally have less volatility, such as fixed-income investments (like bonds). The idea is to manage your savings and investments in a way that will help protect, rather than grow, your income and principal as you prepare to pass from the accumulation to the withdrawal phase of retirement planning. 2. Plan your retirement budget. One budgeting strategy is to plan on needing between 75-85 percent of your pre-retirement income during retirement. This is based on the assumption that you will no longer need to support children, you may have paid off your home mortgage, and you won’t have employment expenses like clothing, commuting, eating lunch out, etc. A Retirement Calculator can help you figure out how much you will need to retire. However, these “savings” can easily be offset by unknown variables (such as the future cost of healthcare) and additional unplanned expenses, especially if you plan to live an active retirement lifestyle. If you want to travel extensively, entertain and eat out frequently or participate in expensive hobbies during retirement, be sure to factor these costs into your retirement cost-of-living budget. 3. Devise a portfolio distribution strategy.This is critical to helping ensure that you don’t outlive your retirement nest egg. The goal is to determine how much money you can withdraw from your portfolio each month to meet retirement living expenses without jeopardizing your portfolio’s long-term future. Two common retirement portfolio distribution strategies are: 1) withdrawing a set dollar amount each month, or 2) withdrawing a percentage of the account balance each month. With the former strategy, the amount of income is more predictable, which may make personal budgeting easier. However, the percentage strategy provides more control over the funds withdrawal rate and the portfolio’s overall drawdown. A generally accepted rule of thumb for a retirement portfolio withdrawal rate is 4 percent per year, but everyone’s situation is different. 4. Plan how you will receive Social Security benefits.Currently, you may elect to begin receiving Social Security benefits as early as age 62. However, you will receive a larger payment each month if you wait until your full retirement age of 67 (if you were born after 1959) and an even larger monthly payment still if you wait until age 70 to begin receiving benefits. Each individual’s unique situation will dictate the best strategy for receiving Social Security benefits. 5. Factor inflation into your financial planning.Over time, inflation erodes the value of your money and reduces your purchasing power. As a result, a dollar in ten years will likely buy you less than a dollar today. Based on an annualized inflation rate of 4 percent, the purchasing power of $1 in 1980 has shrunk to just 36 cents today.